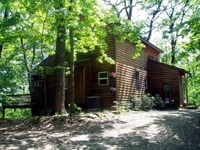 Located at one of the highest points in the beautiful Hocking Hills and with access to private lakes, AGAPE RIDGE Love Nest, Lake House, and Log Home, offer an unforgettable vacation cabin rental experience. 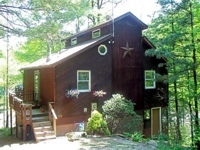 Three beautifully furnished deluxe cabins uniquely set on 600 acres of private land with Hot Tubs, Pool tables and two private lakes for fishing and swimming. 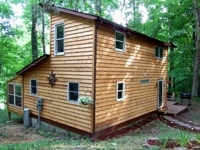 The Agape Love Nest: This is our second Cabin exclusively dedicated to Romance This cabin, located at the summit of the second highest point in the Hocking Hills, offers peace, seclusion, and romance all with spectacular views. Our aptly named 'Lake House', due to its waterfront location, will leave you wanting to come back again again With its own private dock to fish off, and the top deck literally overlooking our 6 acre lake, you'll not forget this retreat.